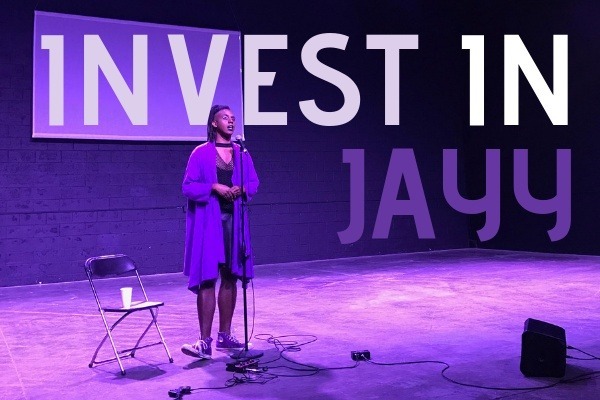 Fundraiser by Jayy Dodd : invest in jayy! I’m looking for folks to donate, share & support investments into me & my art. I am hoping you see how urgent this crowdsourcing is to my sustainability. Please know, I am working endless with my own connections & skills, though I have learned asking for help is as important as needing it. I am hoping to move out of my family’s home to Portland, OR by New Year’s & I hope to be settled & announcing a new project in the desert by the spring. With your help, I want to raise 2.5k by Dec 1st & 1.5k by Jan 1st for a total for $4000 as seed money into the next part of my life. I am working with people on securing jobs & other art opportunities in PDX (but any remote job leads you have would be appreciated).